India’s mango exporters can now heave a sigh of relief. The European Union (EU) has decided to lift a ban on the import of Indian mangoes, which it imposed last year after fruit flies were found in some consignments. A European Commission observed during a unanimous vote on January 20 that there had been “significant improvements” in India’s mango export system, reports BBC. Import restrictions, however, will continue for Indian aubergine, bitter gourd, snake gourd and colocasia leaves. “We have been working closely with our Indian and European counterparts to resolve the issue as quickly as possible and I am pleased that trade in mangoes will resume,” British Minister for the Natural Environment, Lord de Mauley, told BBC. He emphasised that these standards need to be maintained for trade ties to continue. Europe is a major market for Indian mangoes. According to M Rafeeque Ahmed, president of the Federation of Indian Export Organisations, the ban on mango had affected the country’s exports of fresh fruit. “Exports fell from US $307.4 million between April and November in 2013 to US $291.4 million in the same period last year,” he told BBC. No wonder farmers in the mango-producing states are overjoyed at the lifting of the ban. A farmer in Maharashtra’s Ratnagiri district, famous for its Alphonso mangoes, told a BBC correspondent that his profits had more than halved after mango prices came crashing down. Now, with business resuming soon, he and others like him hope to compensate for the losses they suffered. Monica Bhandari, an importer of Indian mangoes in the UK, says customers, too, would be happy as they have been missing the Indian variety. 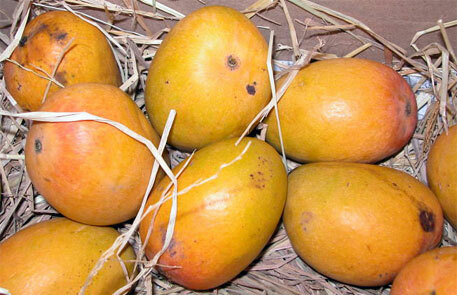 The Indian mango season is from April to June. Imports are expected to start in about a month’s time once the new EU legislation is formally adopted and published.